Problem: After importing the UCSPE appliance you can’t access the GUI even after changing adapter 1 to Host-only or Bridge. Solution: After importing the appliance the 3 network adapters come configured as “connected” but only one of them is attached. Configure all 3 network adapters as attached to the same network (Host-only recommended) and restart UCSPE processes or the whole VM to get a cluster IP. 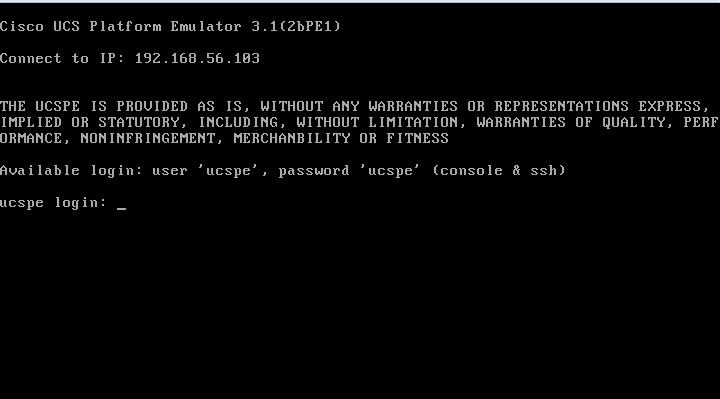 UCS Platform Emulator is available to download in the Cisco Communities (which I never actually heard of before needing UCSPE). I downloaded the .ova of version 3.1(2bPE1) file and deployed it to Virtualbox (5.1.18) with the “very complex” process of double-clicking the file. At the “Import Virtual Appliance” window you should leave most of the settings unchanged. 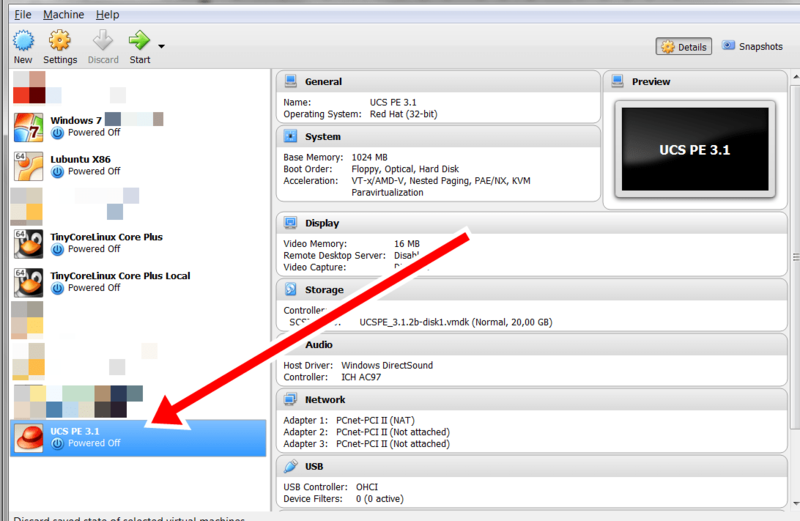 Notice there are 3 network adapters on the VM. Leave them all active. I recommend changing the name of the VM so its easily found in the Virtualbox VM list and to also change the location if you don’t want to use the VirtualBox default location for VM disks. After finishing you should see the VM in the list. After running the VM for the first time we are faced with the console where an IP address should be displayed in the “Connect to IP:” field. However, we get <Unconfigured> instead even after changing Adapter 1 from NAT to any of the other options. I won’t botter you with the details and tests but the solution is quite simple. To show an IP address and for us to be able to access the UCSPE GUI we must make sure all 3 VM adapters are attached and to the same subnet. 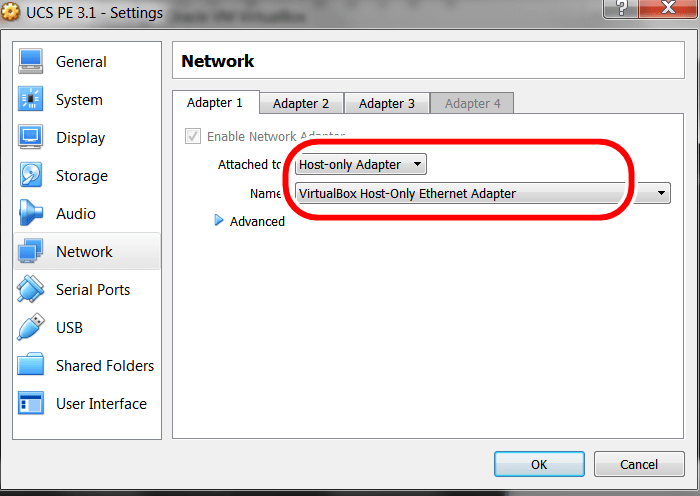 To change adapter settings go to Devices – Network – Network Settings. In that window, change all adapter settings attachment to “Host-only Adapter”. After doing this UCSPE services must be restarted. 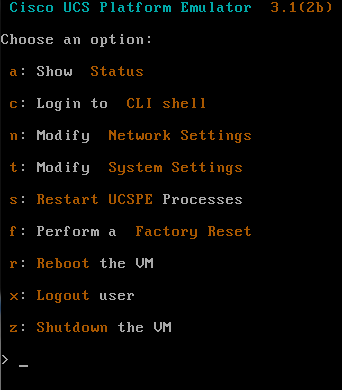 The easy way is to just reboot the UCSPE VM. But there is a fun way, going to the UCSPE console menu. Login with user ucspe and password ucspe. Press “s” to Restart UCSPE and “y” to confirm. Once you see the message “DONE! !” press any key to go back to the menu. Press “x” to logout and you should now see a very different result in the “Connect to IP:” field. The IP address shown is the cluster IP but the actual IP and subnet shown will depend on your particular Virtualbox configuration. After this you can go ahead to your browser and type the IP address shown to open the UCSPE GUI. Launch the UCS Manager, use any username/password you are ready to go! UCSPE is a network service accessible through the network and not just locally on the PC. If you want to access UCSPE GUI from another computer, the 3 network adapters should be set to bridged or NAT with port forwarding. Thanks so much for posting this. Was going to purchase VMware Fusion for my MAC as UCSPE supposedly didn’t work with VirtualBox. Atleast the prev versions I guess. Thanks Again! Hi Imran. Glad this could be of use to you. Excellent Post.. got the solution in one shot. I’m a beginner for UCS and trying to install on VBox.